As many have you have noticed, the website here at megatokyo.com hasn't been very stable. Last week we had a hard drive fail which took the entire site down for several days mainly because the server itself has been having issues that are more than just errors on a hard drive. Right now i am working with a VERY jury rigged system that frankly does not work very well. The individual who created and maintains this will be unavailable this week, so those who can help me with things are working with me to make it work until his return. Basically, what you were supposed to see in this temporary fix is a cached version of Megatokyo that is created on Makoto and copied over to Mishio for all of you to see. 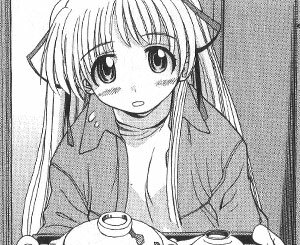 Getting that caching to work is hard enough, but the real problem is that the caching is producing an error which is not copying the files properly, leaving the entire archive of Megatokyo comics inaccessible. In trying to post the comic this morning, things just seemed to get worse and worse. No matter what we tried or how long we waited, we were not able to get the cache to refresh. We decided to try moving the www back to Makoto and hoping she can handle the load. So, pretty much, if you are seeing this and you see the new comic, you are looking at Makoto. Things are going to be touchy this week, because further fixes can't happen until next week, so please bear with us. "Jet Streams and Missed Rants"
There are a lot of things I could blame for my three-week blank of rants. I think I'll choose "the site was flaky" over "Ninety-Nine Nights and Dead Rising came out," "Work is hell while we gear up for SAP TechEd '06 Las Vegas," "Jes makes great pork chops," "My Animaniacs and Pinky and the Brain DVDs came in" and "My family plays WoW with me." Expect a real rant on Monday--for now, your zen image of the day can be found up above.